It’s hard for me to believe that two years have gone by since Elizabeth’s Hope was born, allowing us to launch the Children’s Brain Tumor Project. In scientific research terms, this has been the blink of an eye. I am so very grateful for your support—this truly is a dream come true for me, and some day we will be able to make a significant impact on the care of children facing brain tumors. Elizabeth’s tumor was the very first sample of gliomatosis cerebri ever subject to genomic analysis, and it yielded a treasure trove of information about the genetic mutations associated with her tumor. Since then we have been able to sequence several additional tumors, searching for what they have in common with Elizabeth’s, and where they diverge. This hunt for patterns and data is what will help us unlock the mystery of this rare tumor. Only weeks after Elizabeth’s Hope was founded, my colleague Dr. Mark Souweidane received FDA approval to begin a groundbreaking trial testing the safety of convection-enhanced delivery (CED) of therapeutic agents for pontine gliomas (DIPG). He treated the first patient in May of 2012 and has treated eight more children since then, with zero toxicity. Testing different agents, at different doses, will generate the data we need in the coming months and years. In the fall of 2012, a basic science researcher named C. David Allis, Ph.D., was investigating and documenting a DNA histone called H3.3. Much to everyone’s surprise, it was discovered that H3.3 mutations are found in pediatric gliomas. Dr. Allis and I are now collaborating on a new project to try to find out why the mutation causes gliomas — including gliomatosis cerebri — to develop. 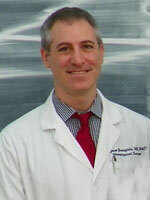 I was honored to share in a Starr Cancer Consortium grant given to Dr. Allis to pursue the research. I have a two-year, $112,000 grant for 2013 and 2014. In January 2013, the Institute for Precision Medicine opened its doors at NewYork-Presbyterian/Weill Cornell Medical Center. This cutting-edge research hub is exploring how to develop optimal targeted, individualized treatment based on each patient’s genetic profile. This is extraordinarily significant for Elizabeth’s Hope and the Children’s Brain Tumor Project, as it brings the ability to sequence tumors right onto our campus and spares us the cost of buying new machinery. Our gifts can be used for the bioinformatics staff members we need to interpret the data, rather than on hardware and software to generate numbers. …Yujie Huang, Ph.D., who in September received a two-year, $400,000 grant from the Department of Defense to study how and why low-grade, survivable gliomas develop into high-grade tumors like gliomatosis cerebri. Dr. Huang has been studying this phenomenon in my lab, and we theorize that there are signals coming from the bone marrow that cause the rapid development of the tumor’s blood supply. If we can stop or slow that process, we just may be able to stop the progression to fatal tumors. I recently received the green light to initiate the first clinical trial using superselective intra-arterial chemotherapy (SIAC) for brain tumors in children and adolescents. This is a great milestone, as SIAC allows us to deliver chemotherapy drugs directly to the small arteries that feed a tumor, instead of into the whole body, as is the case with IV or oral chemo. Imagine a new age of chemotherapy, one in which the side effects of traditional chemo are a thing of the past. Precision medicine will someday allow us to select drugs targeted specifically at an individual’s tumor, and novel delivery methods like CED and SIAC will get those drugs directly to the tumor, sparing the patient the toxic effects of systemic chemotherapy. Today we are recruiting new lab fellows to start as soon as this January, and we are soon to announce the launch of the International Gliomatosis Cerebri Registry at GCregistry.com. The registry will allow us to enroll patients from around the world in a comprehensive database tracking tumors, mutations, diagnoses, and outcomes. If information is power, this new registry may turn out to be one of our most powerful weapons yet in this battle. In many ways I feel that we are, finally, at the starting line. That may sound counterintuitive after two years and all our accomplishments, but that’s the way research works. It takes so long to line up the data, the resources, and the logistics, before you can really “start” your work. Thanks to Elizabeth’s Hope and you, our supporters, we are ready to start. Here’s to the next two years. The Elizabeth's Hope online store has shirts, caps, bags, and other products with the Elizabeth's Hope logo. Show your support, and help spread the word, by carrying the Elizabeth's Hope name with you wherever you go.